People who want to help low-income communities should see them as “half-full glasses” -- places with strengths and capacities that can be built upon, says the co-developer of the asset-based community development strategy. Most people and institutions that want to serve poor communities are focused on what the residents lack. “What are the needs?” is often the first question asked. John McKnight says that approach has it backward. McKnight is co-director of the Asset-Based Community Development Institute (link is external)and professor emeritus of communications studies and education and social policy at Northwestern University. 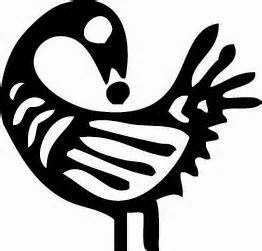 Where the discipline of the tongue is practiced right from the beginning, each individual will make a matchless discovery. He will be able to cease from constantly scrutinizing the other person, judging him, condemning him…. Now he can allow the other to exist as a completely free person, as God made him to be. Now the other person, in the freedom with which he was created, becomes the occasion for joy, whereas before he was only a nuisance and an affliction. God does not will that I should fashion the other person according to the image that seems good to me, that is, in my own image; rather, God made this person in God’s image. I can never know beforehand how God’s image should appear in others. 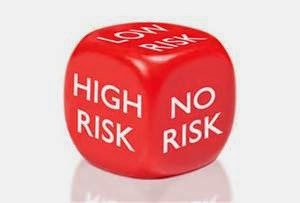 "Nothing that leads to human flourishing happens without risk." The offensiveness of recent expressions of hate and racism by university students comes into sharper focus if you expose yourself to the context, background and meaning of any talk of "hanging" people on a tree. Disturbing video by anyone's standards. Can police not learn how to take a potentially threatening person down without killing them? Not hard to understand how communities of poverty and color feel in jeopardy while being pushed to the margins. WE Americans are a nation divided. We feud about the fires in Ferguson, Mo., and we can agree only that racial divisions remain raw. So let’s borrow a page from South Africa and impanel a Truth and Reconciliation Commission to examine race in America. The model should be the 9/11 commission or the Warren Commission on President Kennedy’s assassination, and it should hold televised hearings and issue a report to help us understand ourselves. Perhaps it could be led by the likes of Presidents Bill Clinton and George W. Bush and Oprah Winfrey. We as a nation need to grapple with race because the evidence is overwhelming that racial bias remains deeply embedded in American life. Two economists, Joseph Price and Justin Wolfers, found that white N.B.A. referees disproportionally call fouls on black players, while black refs call more fouls on white players. “These biases are sufficiently large that they affect the outcome of an appreciable number of games,” Price and Wolfers wrote. ampaign: nyt2015_sharetools_mkt_opinion_47K78 -- 271975, creative: nyt2014_sharetools_mktg_opinion_47K78 -- 375123, page: www.nytimes.com/yr/mo/day/opinion/sunday/nicholas-kristof-when-whites-just-dont-get-it-part-2.html, targetedPage: www.nytimes.com/yr/mo/day/opinion, position: MiddleLeftIN my column a week ago, “When Whites Just Don’t Get It,” I took aim at what I called “smug white delusion” about race relations in America, and readers promptly fired back at what they perceived as a smugly deluded columnist. Readers grudgingly accepted the grim statistics I cited — such as the wealth disparity between blacks and whites in America today exceeding what it was in South Africa during apartheid — but many readers put the blame on African-Americans themselves. “Probably has something to do with their unwillingness to work,” Nils tweeted. When whites just don't get it. . .
"The American dream is in crisis. . .because Americans used to care about other people's kids and now they only care about their own kids." The broadcast of a recent video of Oklahoma University fraternity students singing racially charged lyrics (including a refrain that speaks of lynching black people and uses the "N" word with clearly casual ease) shocked many people. Frankly, I wasn't too surprised. I run into such attitudes frequently. What troubled me most was the light-hearted, nonchalance of those involved. Where does one learn the "values" of such an insensitive, thoughtless, hateful, racist frame on life? On the other hand, where does one learn truth, the sort of truth that resists evil when it's encountered. As you watch, try to put yourself in the shoes of your African American neighbors. If you are a parent, use this shameful display of hate to teach your children the truth they will need to be a force of transformation and unity that stands resolutely over against the darkness of this latest example of the spirit of racism that remains alive and thriving in our society. Over 60 years ago, Ms. Rosa Parks refused to give up her seat on a Montgomery bus. She stayed on the bus and she didn't get up or off. Today we face a similar choice as white people. When we face moments of hatred and racism, we must be brave enough to deal with the bus we may be riding. In our case the challenge will be to stand up, speak out and get off any bus going into the terrible darkness defined by our nation's past in this country. Form your children in love, acceptance and celebration of the beauty of all of God's children. And, by all means, never tolerate expressions of hateful racism. Take a moment to view this public statement from Dallas City Hall from Rev. Dr. Michael W. Waters. Click "Open Microphone Speakers" and FF to comments beginning at 4:49. In view of all that has been going on, what do you think about this idea? If you can read the following essay and not be concerned, you process reality much differently than do I. Read and let me know your response. For about a century, economic inequality has been measured on a scale, from zero to one, known as the Gini index and named after an Italian statistician, Corrado Gini, who devised it in 1912, when he was twenty-eight and the chair of statistics at the University of Cagliari. If all the income in the world were earned by one person and everyone else earned nothing, the world would have a Gini index of one. If everyone in the world earned exactly the same income, the world would have a Gini index of zero. The United States Census Bureau has been using Gini’s measurement to calculate income inequality in America since 1947. Between 1947 and 1968, the U.S. Gini index dropped to .386, the lowest ever recorded. Then it began to climb. Income inequality is greater in the United States than in any other democracy in the developed world. Selma: 50 years later--a time to celebrate! 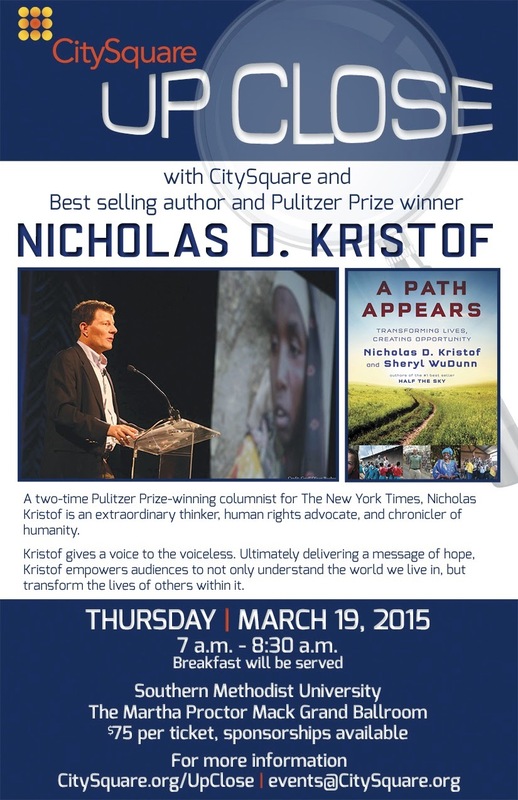 Nicholas Kristof to join CitySquare for "Up Close"
· 750,000 students served by COMMIT! · Coalition of 160 different institutions with a “vested stake” in Dallas County’s educational outcomes. 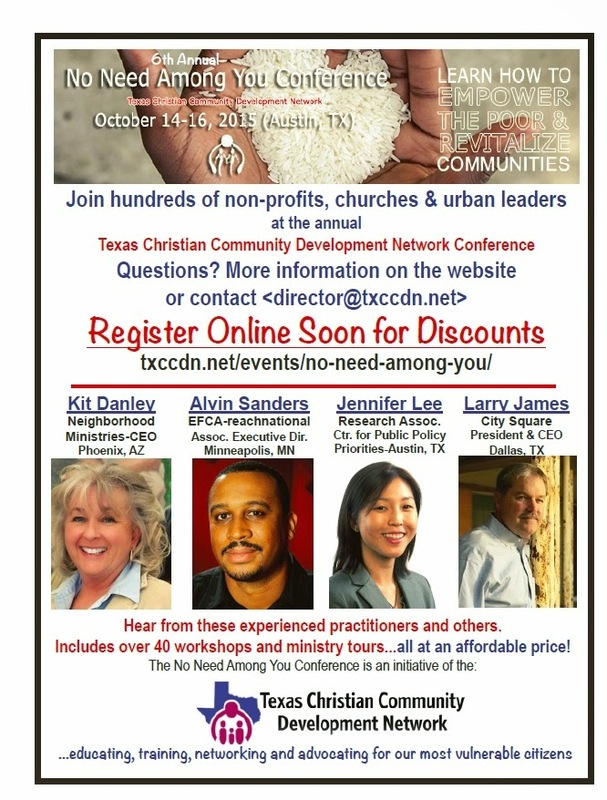 · Between 1980 and 2010, poverty increased by 242% in Dallas County neighborhoods. 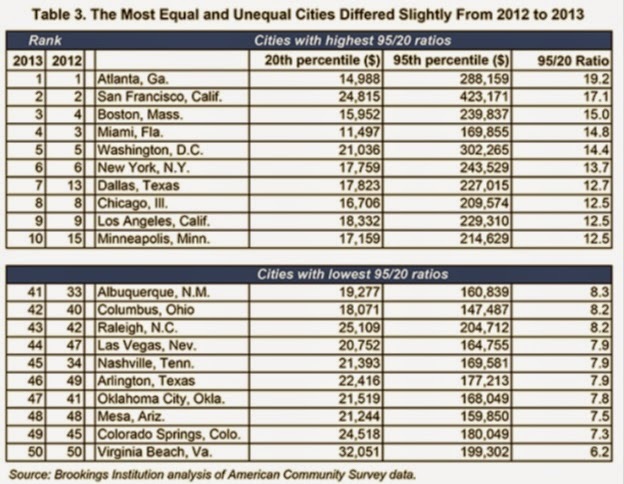 · Dallas has 3rd highest childhood poverty rate in U. S. (38%), behind Detroit (59%) and Memphis (44%). · Dallas County’s job growth lags behind surrounding counties. Between 2000 and 2012, jobs increased in Denton County (+63%), Collin County (+71%), Rockwall County (+89%), Kaufman County (+4%), Ellis County (+21%), Tarrant County (+10). In Dallas County jobs fell (-13%). · By not increasing each student’s level of attainment, our region loses $6.9 billion in lifetime earnings for every cohort of about 30,000 students entering the K-12 system annually. · Hispanic and African American students lag woefully behind white students in Dallas County in every measured category: in 2014, only 345 black students graduated “college ready.” Fewer than half as many economically disadvantaged students graduated college ready as more affluent students (1,128 compared to 2,600). · 56% of eligible students are not enrolled in Pre-K or Head Start. · 36% of students in Dallas County are reading on grade level by 3rd grade. · $33 million is left on the table in Dallas County in student financial support/services. · Teacher supply is declining by 4% annually, while student population is growing at 1% each year. · While there are examples of high-poverty schools doing well or better, poverty remains a key driver in low performance. More clear and compelling evidence that we must attack poverty and its associated stresses on children and families. And, NOW!